We all know the basic functions of a cell phone: not miss calls, make calls while not at home, or texting co-workers that the meeting has been rescheduled. But what if there was more to one’s cell phone than just the basics? How would it make people feel knowing they can have the ability to manage their kids time, or know that the local highway to work is under construction? Well, with the latest phones and newest technology, it’s all possible. No matter what phone or company users choose, they can stay in touch with more than just a simple call or 60 character text. The apps listed below are just a few the mobile world has to offer. Many would be surprised at everything cell phones can do when not being used to make personal calls. There have been many times when driving resulted in folks getting lost. Thankfully, there is a solution that doesn’t involve a $40+ GPS device. If a cell phone is within reach, use the phone. Customers on the Verizonplan have their very own app: the VZ Navigator. This app can show customers where the nearest gas stations are, ATMs, landmarks, and even give point A to point B directions. What also makes this navigator so special is it saves recent searches. Wireless family plans have sent out a helping hand in letting parents know where their children are. Sprint customers are able to track their children through their phones with a map that can be viewed either PC or mobile device. The Sprint Family Locator allows parents to keep up with their kids, allowing them to know whether their child is at school or the library. Alltel and AT&T customers are able to keep up with their favorite podcasts thanks to Melodeo’s Mobilecast. This app features over 100,000 podcasts; ranging from NPR podcasts all the way to The New York Times podcasts; allowing customers to keep up with their news. Verizon Wireless customers will never miss a show again with this new TiVo Mobile app. Mobile users are able to program their DVR boxes and TiVo boxes away from home. This application will work with the second and third series of TiVo boxes. 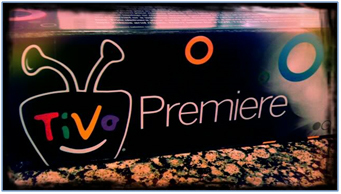 The features sponsored from the TiVo Mobile include a complete list of channels and programs, and the ability to see ratings from other subscribers. AT&T and Helio customers can manage their blogs while not being attached to a desktop or a laptop. The websites allow mobile users to create mobile blogs dedicated to cell phone usage. Now there is no longer a reason to stay parked in one spot to write reviews on blogs. Bloggers will benefit greatly with this ability to blog away from home. For all the couponers out there, rejoice now, for there is a new way to get coupons! Cellfire.com allows cell phone users to download the latest coupons straight to their phones. The process is simple, download the coupon of choice, then show the code to the worker at the cash register. Instant savings, no wasted trees. Cell phones are becoming more and more popular, and that’s just not from teens and young adults. Older customers are partaking in texting, whether by choice, or not. For some, texting takes a lot of patience and time, so the kind folks at Nuance’s Mobile have thought up a better way to text. With the voice-recognition abilities, users can just speak into their phone and have the phone write it hands free. There are applications that allow the users to access their PC while not being on the PC. The Window Mobile 5.0 app lets users grab photos and songs from the home PC, or stream from the laptops from their Smartphones. What makes this app so special is once anything is finally transferred, the PC/laptop will shut off once done. Downloading songs to cell phones is cool, but being able to listen to radio from a cell phone, is even cooler. Smartphones have all sorts of apps out there for Smartphone users to listen to from their phone. It’s much better than lugging around a laptop or listening to the radio in the car or at home. No matter what the interest, Smartphones and cell phones alike will be there to ease the world’s pains. Keep those texting fingers nimble, and the Smartphone will make everything better. It is thought that in time, mobile phones will completely replace PCs, and not long after that, even laptops. So maybe jumping on the bandwagon of mobile phones isn’t a bad thing. It’s always good to have a home away from home, so why not have a PC away from home that doesn’t require actually owning another PC. The ability to have a back-up when the trusty laptop dies is never a bad thing. So keep in mind what all a Smartphone can actually do the next time the doctor’s office calls to remind you of their next visits. Explore what the entire mobile world has to offer. The post is written by William Taylor. William is computer programmer, who is quite thrilled about new technologies like ASP.net and PHP. nice information…..thank you sharing with us……..
Really great list you share with us. I love it. thank you so much for sharing this post. Excellent information! and very useful! Thanks for sharing! Now a days, mobile phone is not limited only to make calls, it perform many other tasks which are also important in our daily needs and you describe in a well manner. Great work dude. The thing I really like is the 10th thing: listening to the radio. Ratio stations in my country play an awful music and I am too lazy to get tons of mp3's to my phone so I just launch a radio app and enjoy while I am driving :). Nice tips by the way! very interesting mate 🙂 keep rocking with new ideas ..
Wow so nice & infomative post about Mobile Phone because I am not aware in some applications thanks for aware to me so many applications in Mobile Phone. i like your good post. Built-in global positioning system (GPS) technology means users can be located via a signal sent from their mobile phone. Great list! Makes you wonder what we did before smartphones.